BestBuy has agreed to sell HP Touchpads at the discounted prices of $99 for the Wi-Fi-only 16GB device and $149 for the 32GB version. The move however, is a complete change to BestBuy’s previous statement of returning the HP tablets back to the HP company. Earlier this week HP decided to kill its WebOS hardware, which led the People wondering on the new HP motive that caused a great market blunder. However, HP bounced back by telling its customers about the discount prices where the once advertised HP Touchpad’s $399 rate is now a mere $99. Now, there is a great hush hush among the general public on laying their hands over the discounted HP products. Currently, BestBuy may be the only stop with HP touchpads and there is no guarantee that they might have one after they gave an comment stating they will sale what they have got left. 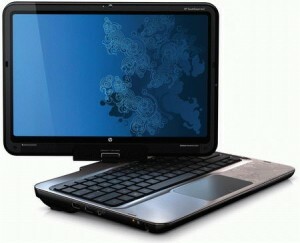 Readers should note that BestBuy is in the process to return back the HP touchpads to the company. BestBuy also says if you already bought a HP TouchPad and would like to return it, you can do so as long as it falls in line with its return policy’s time frame. Are you the lucky ones to get your hands on the HP Touchpad’s? Share with us via comments below. America under Virus Attack "Anti Virus Pro 2010"
Man caughts Goblin Shark in Gulf of Mexico and later released it! How much does the US President get paid? Sachin Tendulkar Sells Gift Presented by Michael Schumacher!